Is this the "vast" bearded man Avakov was talking about in his Facebook post? You can read about this chap at the Time website, but please do come back to us. I'll be updating even when you're away. Here's some footage reportedly of the Slovyansk raid, uploaded to Youtube by Eugene Sherlaimov. The social media verification service Storyful is checking for veracity. I've seen the Reuters video of the incident, but sadly can't get it up on this liveblog just yet due to technology "issues". Anyway, it shows burning barricades, helicopters in the air and APCs flying Ukraine flags. 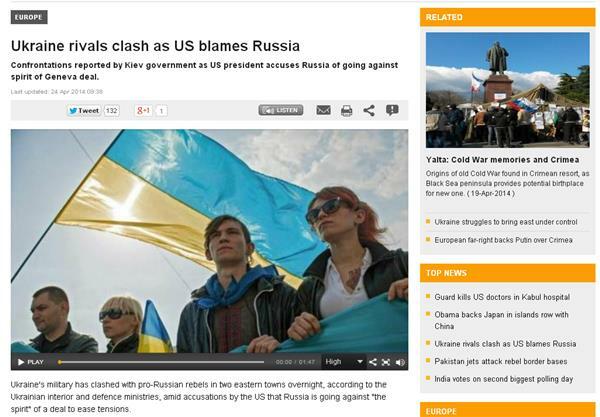 You can read our latest story on Ukraine on aljazeera.com. 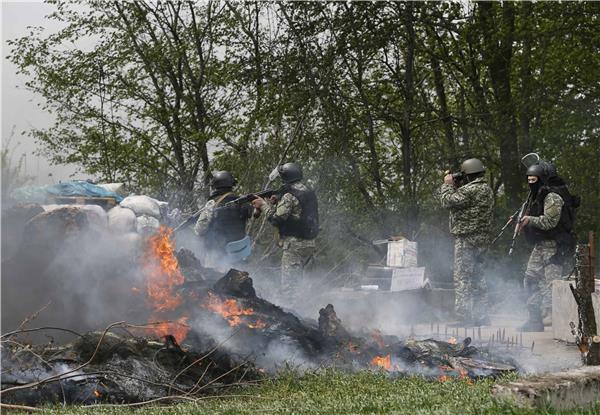 Given the Slovyansk attacks it will update again in the next hour. Thanks. More video from Slovyansk, this time provided by Igor Tolstykh on VK. 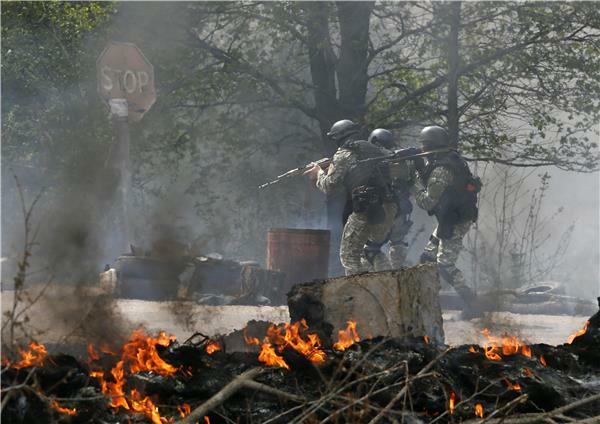 Storyful has corroborated this as recorded in Slovyansk today. 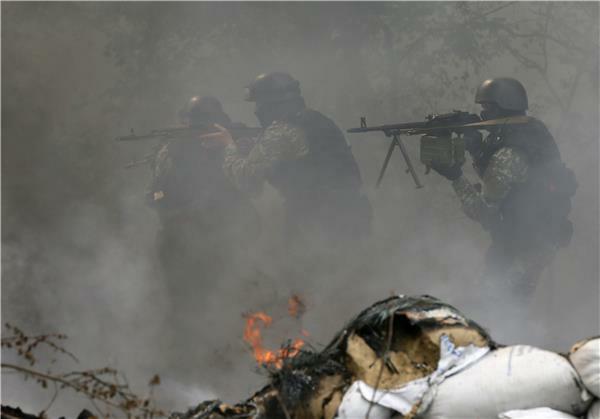 Ukraine's interior ministry said in statement: "During the clashes, up to five terrorists were eliminated." One Ukrainian soldier was wounded in the assault, it added. The Russian president, Vladimir Putin, said on Thursday that there would be consequences if Kiev authorities had used the army against pro-Russian activists in east Ukraine. This... is just a punitive operation and it will of course incur consequences for the people making these decisions, including on our interstate relations. If Kiev really began to use the army against the country's population... that is a very serious crime against its own people. Speaking on Russia's decision to order new military exercises in regions bordering Ukraine, Sergei Shoigu, Russia's defence minister, said his country was simply reacting to the situation in Ukraine. We are compelled to react to such a situation. 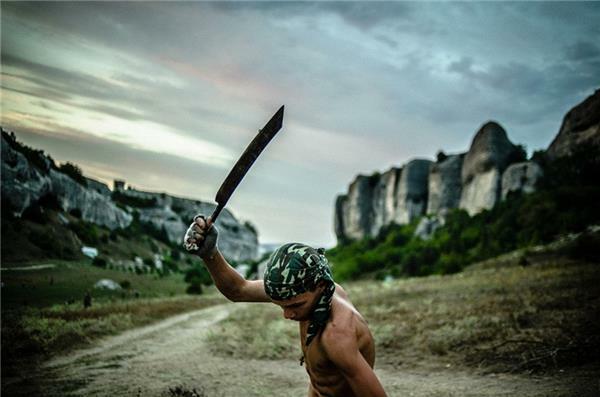 A start has already been made in using weapons against peaceful citizens of their own country. If this war machine is not stopped today, then it will lead to a large number of dead and wounded. Ukraine's acting president, Oleksandr Turchynov, has called on Russia to pull back troops from the Ukrainian border, to stop interfering in the country's internal affairs and to end its "blackmail". A video uploaded to Youtube by igordolar, and verified by Storyful, shows shots being fired as Ukrainian troops take a checkpoint outside Slovyansk. Defense Secretary Chuck Hagel says Russian military exercises on its border with Ukraine increase tensions and run counter to a diplomatic agreement it signed just last week. Hagel spoke with reporters in Mexico City after he was informed of the Russian military exercises that President Vladimir Putin said were designed to punish Ukraine for moves against pro-Russian insurgents. Hagel called the military exercises "dangerously destabilizing" and "very provocative." Hagel said if such activities escalate they will make it more difficult to find a diplomatic solution to the situation in Ukraine. 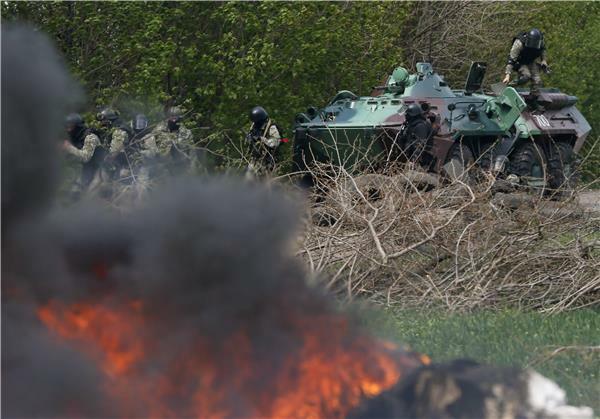 Russian troops began new military exercises, sharpening anxiety over the prospect of a Russian military incursion into Ukraine. 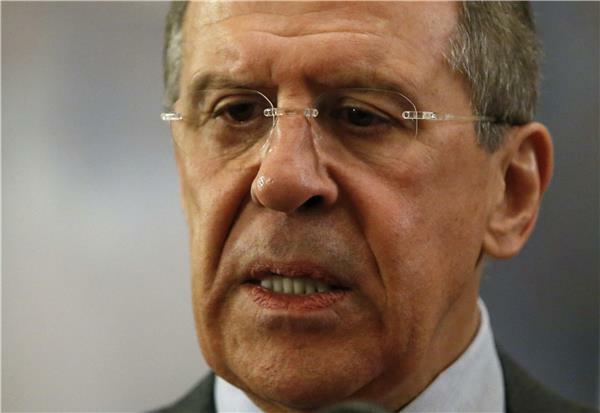 Russia's foreign minister warned Wednesday that any attack on Russian interests in eastern Ukraine would bring a strong response. Russia Foreign Minister Sergei Lavrov on Friday accused the United States of seeking to smear Moscow and called US Secretary of State John Kerry's tone over the Ukraine crisis unacceptable. Lavrov warned "the might of US propaganda" was aimed "at smearing Russia, smearing those who protest against the illegal actions of the (Kiev) authorities who are trying to ban Russian and trying to call all Russians and Russian speakers enemies who should be killed." Canada sent too many observers to the parliamentary elections in Ukraine in 2012, the Department of Foreign Affairs says in an internal assessment obtained by The Canadian Press. 48 hours - what do you expect will happen after that? Ukrainian Prime Minister Arseniy Yatsenyuk on Friday accused Russia of wanting to start "a third world war" and called for for international help against "Russian aggression". "The aggressive efforts of the Russian military on Ukraine's soil will lead to a conflict on European soil," he said in a televised cabinet meeting. "Russia's support for the terrorists in Ukraine constitutes an international crime and we call on the international community to unite against the Russian aggression." Merkel has said more sanctions against Russia must be considered due to lack of progress - Reuters reports. German Chancellor says she told Putin Ukraine had taken many steps towards Geneva accord but had seen few steps from Russia. Merkel has said she's convinced Russia could "put the separatists in eastern Ukraine on a peaceful path" and said Kiev had taken "a series of steps" to implement the Geneva agreement. 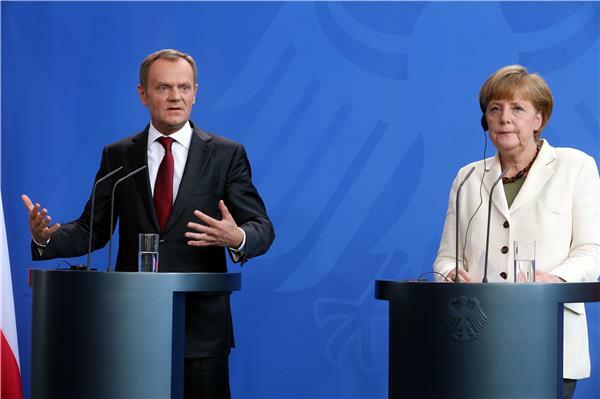 Merkel said it's important to pursue diplomacy and to prepare for Ukraine's May 25 presidential election. But she said ministers also consider "phase two" sanctions, targeted measures that fall short of all-out economic sanctions. She said the EU foreign ministers will meet "as soon as possible." 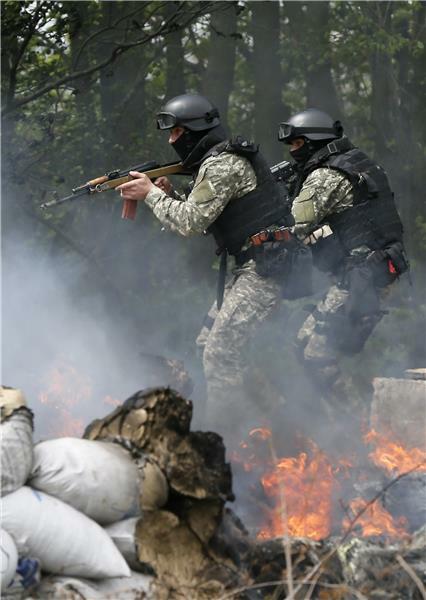 Seven members of an OSCE observer mission in Ukraine were seized by rebels Friday and being held in the eastern town of Slavyansk, the interior ministry in Kiev said. 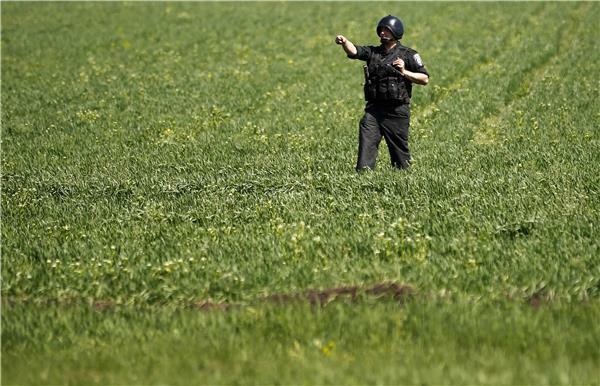 "Near the entrance to Slavyansk, unknown persons stopped the bus with 13 passengers including seven OSCE representatives, five representatives of the armed forces of Ukraine and the driver of the vehicle," the ministry said in a statement. It said the passengers were taken to the occupied security services building in the town and the rebels were demanding to speak with "the competent authorities of the Russian Federation". Former Prime Minister Yulia Tymoshenko says Ukraine "must be a member of NATO" in order to protect itself from Russian aggression. 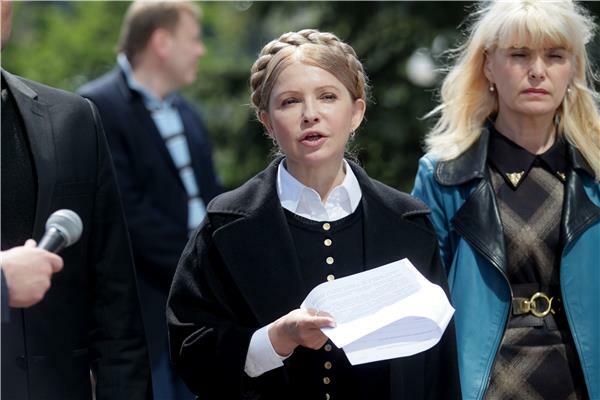 Tymoshenko, who is running in the May 25 presidential election, told The Associated Press in an interview that while only a minority of Ukrainians supported NATO membership previously, Russia's aggressive actions in the country's east had forced a "fundamental change" in public thinking. She says "with his war against us, Putin was able to change the mentality of Ukrainians and turn us in a different strategic direction. NATO is the best choice for Ukraine." in good health, but they were anxious to be allowed to go home soon. The White House says new penalties expected this week against Russia for its action against Ukraine will "hurt" the people closest to Russian President Vladimir Putin. Deputy national security adviser Tony Blinken says sanctions already in place are projected to push the Russian economy into negative growth. He tells CNN's "State of the Union" that those around Putin "are going to be hurt" by additional penalties expected to be announced early this week. The head of the OSCE is due to fly to Ukraine where military inspectors associated with the pan-European monitoring body are being held by rebels in the restive east, the Ukrainian foreign minister said on Sunday. 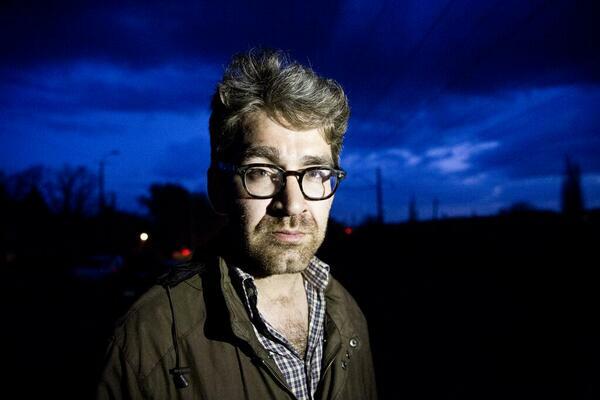 "The situation regarding the release of the OSCE (captives) remains difficult. Back to Kiev. 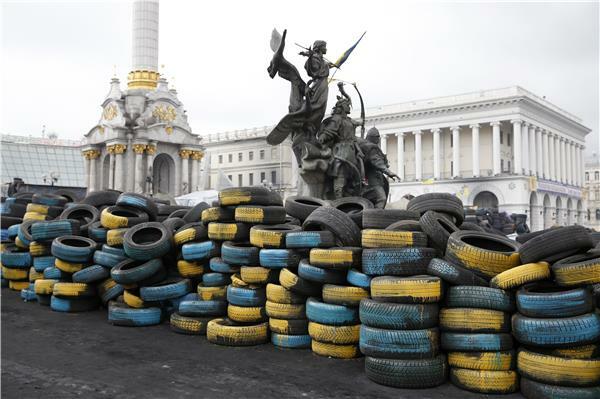 In the evening, OSCE secretary general Lamberto Zannier will arrive in Kiev." 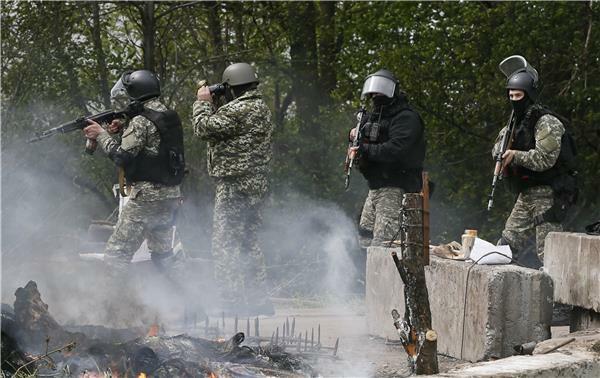 Heavily armed pro-Russian gunmen on Monday seized another town in east Ukraine, storming the town hall in Kostyantynivka and setting up barricades, an AFP journalist saw. 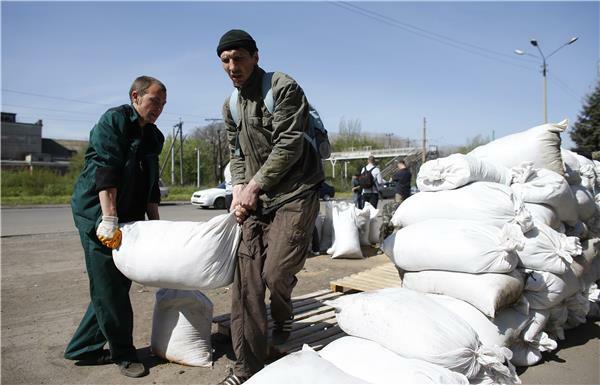 Kostyantynivka has 80,000 inhabitants and is located mid-way between the flashpoint town of Slavyansk and the regional hub city of Donetsk, both of which are also under the control of insurgents. Time to add Konstantinovka to the list of flash points in Ukraine. A pro-Russian armed man stands guard at a barricade near the state security service building in Slovyansk. 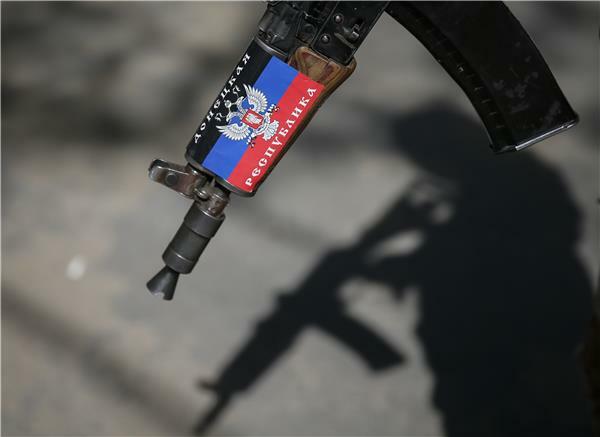 The sticker on the rifle reads:"Republic of Donetsk." 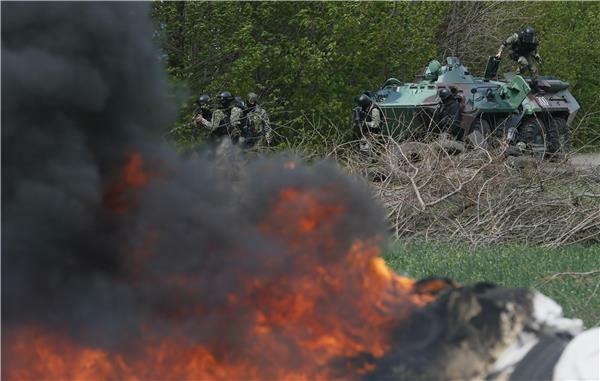 A senior Russian diplomat said on Monday the Organisation for the Security and Cooperation in Europe had been "extremely irresponsible" in sending military monitors to eastern Ukraine. 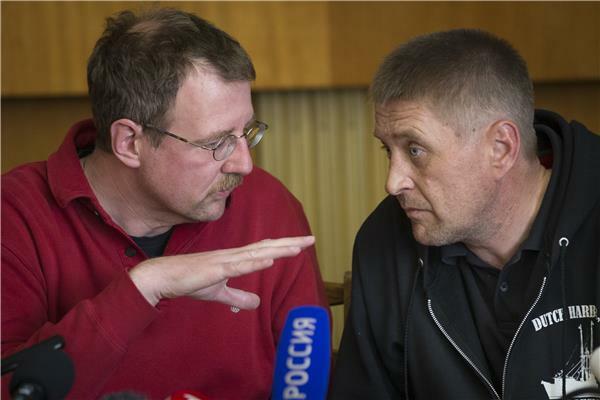 Andrey Kelin, Moscow's ambassador to the OSCE, said however that it would be a good step towards easing the conflict to release the seven monitors, who are being held by pro-Russian rebels. The US attorney general, Eric Holder, is one of many high-ranking guests in London for talks today aimed at recovering Ukrainian assets looted under the Yanukovich's regime. The two-day meeting has been organised by the US and UK-backed Ukraine Forum on Asset Recovery. The forum wants to send "a strong message that there is no impunity for those who carry out such illegal actions". Holder pledged the US would lead the efforts. 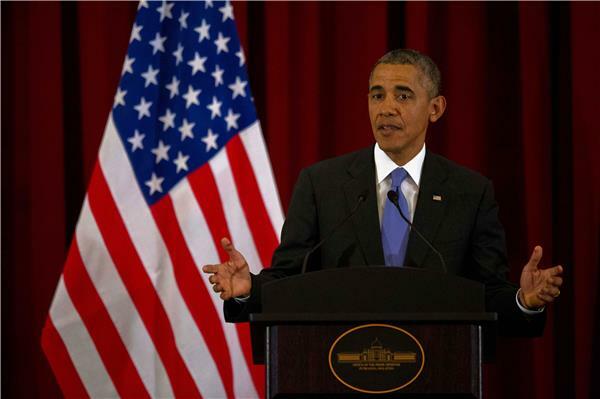 "The United States will never stop fighting alongside Ukraine and its partners to ensure accountability," he said. The meeting will be attended by Ukraine interior minister Arsen Avakov, government officials, prosecutors and financial and international organisations, according to the UK Home Office. British authorities on Monday launched a money-laundering investigation over activities in Ukraine and froze $23m in assets. ITAR-TASSThe Japanese government imposed additional sanctions on Russia on Tuesday temporarily terminating entry visas for 23 officials from Russian agencies. The list will be made public later. Moscow sent four ships from Sevastopol to Odessa, returning them to the Ukrainian government on Tuesday, Interfax-Ukraine news agency reports. The report said the Russian side was expected to return five more ships later on Tuesday. There are 15 more vessels blocked in Crimea, which was seized by Moscow in March.